Home News Opinion New year, new MPN! Welcome to the first edition on MPN North America. We’re really excited about this new launch and latest addition to our life science group of magazines. The medical plastics sector is vibrant and strong – market reports forecast its growth to reach $ 7.54 billion by 2022. Advances in healthcare, increased and ageing populations and a boost in consumer health awareness are contributing to the important role this sector has to play on a worldwide scale. 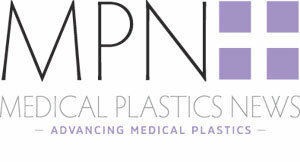 According to Brisk Insights, “the global medical plastics market is majorly driven by factors like growing awareness regarding benefits of using medical polymers with biocide properties” and the “increasing popularity of lightweight, low cost, portable and small devices in healthcare industry is likely to propel further industry expansion”. Since its launch in 2011 Medical Plastics News has captured the very best in medical plastics technology and design. Keeping its readers at the forefront of the sector – what the key players are offering, how technology is advancing – means the title is now a leader in its field. With that in mind and along with the fact that our US readership has rocketed during that time, 2017 is the right time to provide our North American audience a title of its own. The North American medical plastics industry is a major force on the global scene. Key players such as Phillips-Medisize, Freudenberg Medical and West Pharmaceutical Services push forward with advances in the market helping the region dominate – it reportedly account for over 43% of the global market. Companies such as Polymer Solutions and our very own cover star Accumold have a vital role to play in the manufacture of devices on a global level, highlighting just how much expertise this region has to offer. So as we start the year with our own exciting news, we look forward to bringing you the best of North American news and knowledge in the year ahead.